When it comes to vacationing, we all have a happy place, whether it’s the beach, exotic islands, mountains or the country. For me, that place is Colorado. Colorado Springs to be exact! Growing up, my father resided in Colorado Springs and I had the luxury of being able to visit there frequently. 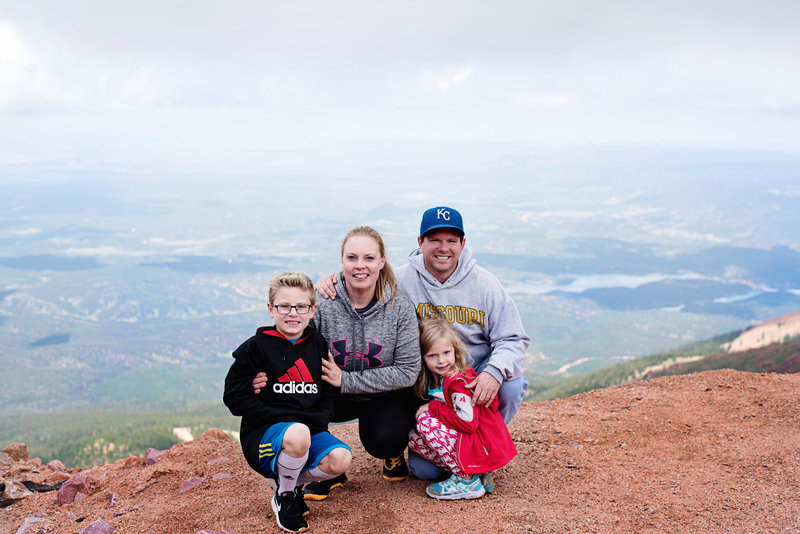 There are great childhood memories of our travels up to Pikes Peak, Garden of the Gods, Seven Falls, The Royal Gorge and even to The North Pole – Santa’s Workshop. My family wanted to take a quick summer vacation, some place away from the beaches but within nature. I had to jump at taking my children to the place where many of my memories were made, they’ve never been to the mountains before! Here are some of the best places we visited. 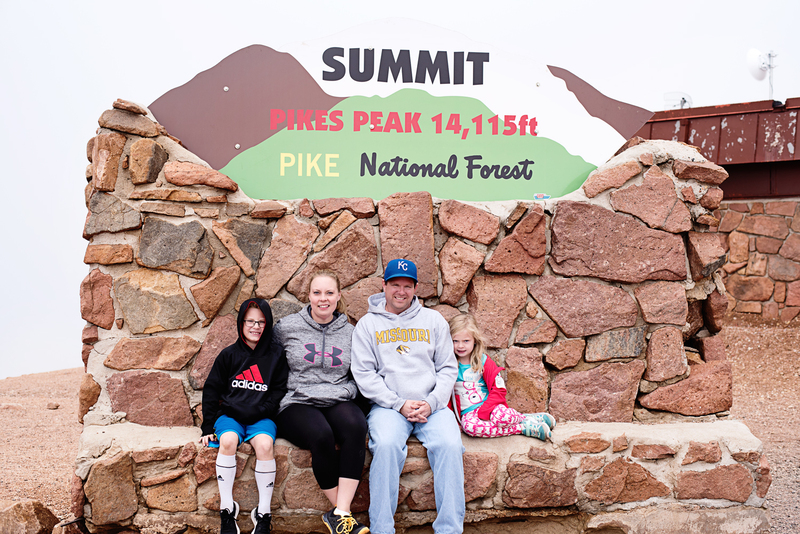 Pikes Peak is an iconic place to visit while in Colorado Springs and my absolute favorite. It’s 14,115′ above sea level and you get there by driving up a winding, beautiful 19-mile scenic road, or you can take the cog railway! The drive up to Pikes Peak isn’t on a busy road, rather a very quiet one. Each turn around the mountain will give you a different breathtaking view and can be seen from both the driver’s side and passenger side. Along the way, you will find many opportunities to pull over and enjoy the view. Bring your cameras! The only challenge will be to take pictures that are as breath taking as your view. It’s really and experience that everyone can enjoy, from little kids all the way up to adults and adventure enthusiasts. 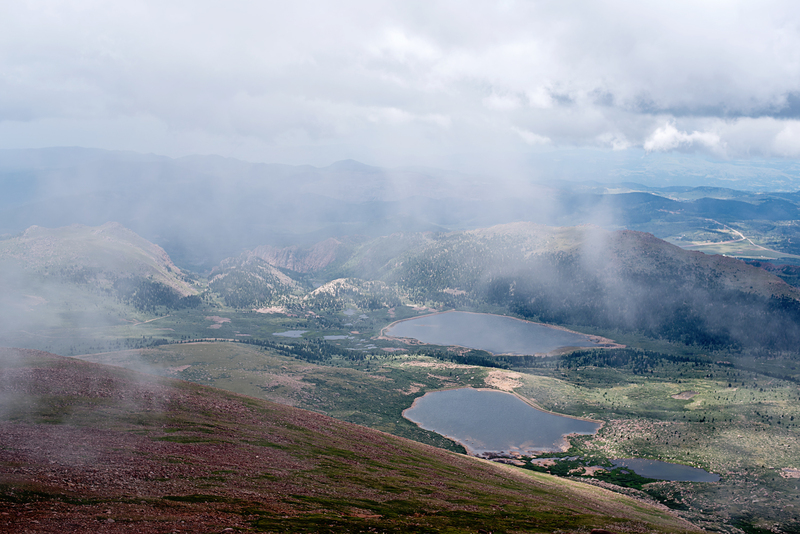 The summit at Pikes Pike is full of opportunity to take in the reward of your travels. Make a visit into the souvenir shop to purchase a few trinkets and be sure to grab a freshly made donut on the way out. It’s a little cold at the top, so be sure to bring warm layers to keep you toasty. Garden of the Gods is a quick stop right inside of the Pikes Peak region. 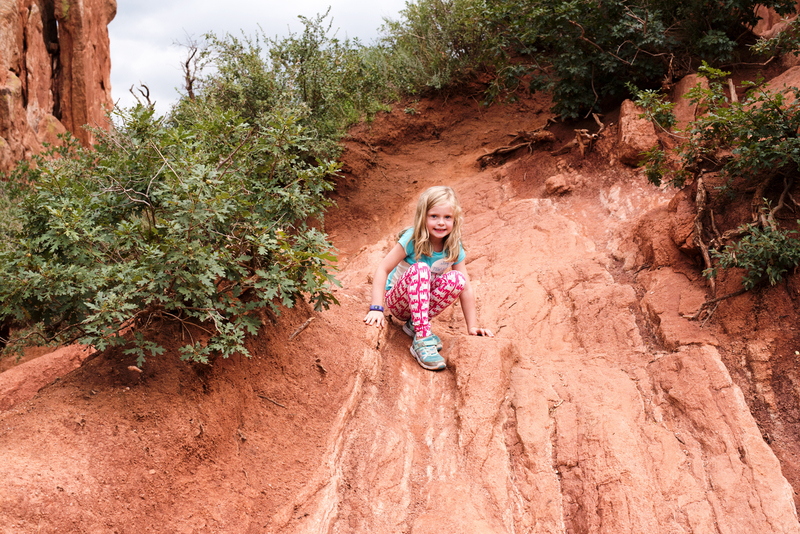 The park is filled some of the most beautiful red rock formation and top walking trails. If you are an adventurer, some of the best rock climbing in Colorado Springs can be done here! There is opportunity for all skill levels. If you are more into leisure, take a walk through the 15 miles of trails or take a free guided nature walk. 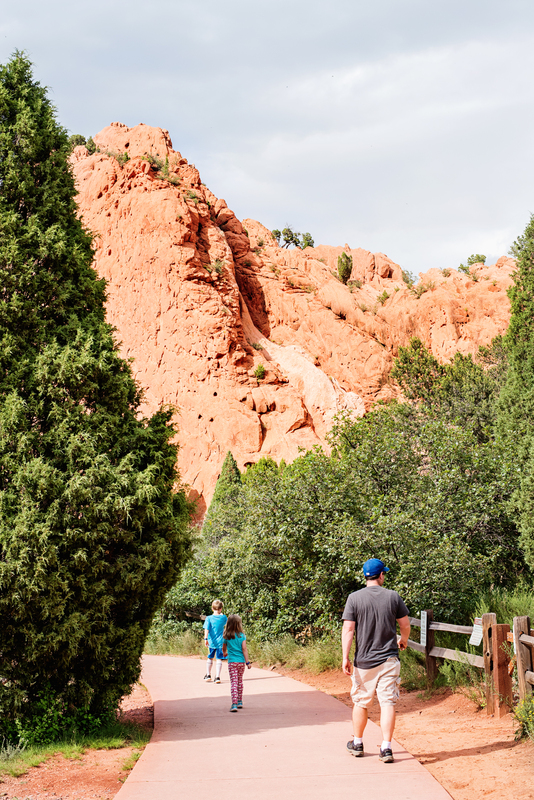 There are many trail options throughout Garden of the Gods, each offering a view of the amazing garden rock formations. 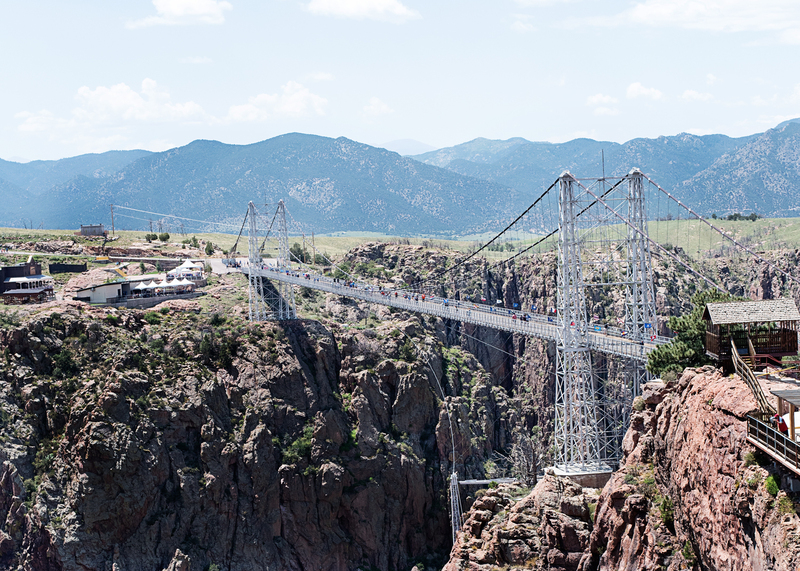 The Royal Gorge Bridge is located right outside of Colorado Springs, in Cañon City, Colorado. 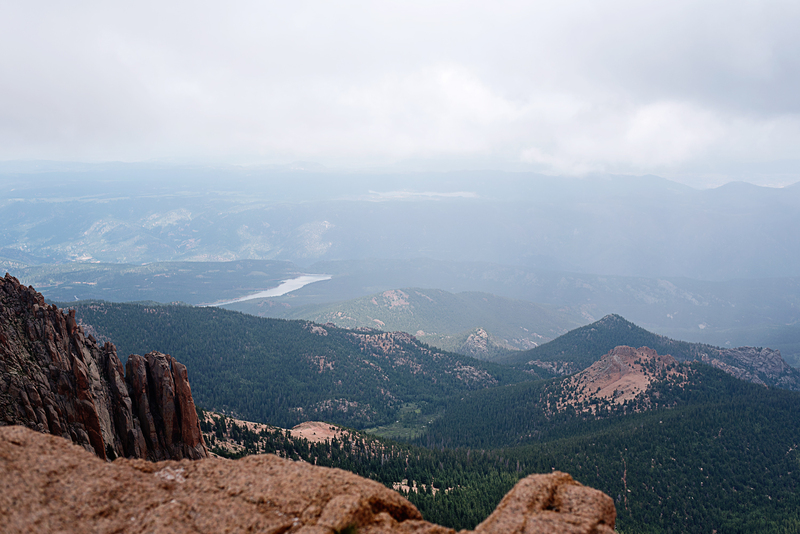 Not far from the Pikes Peak region and definitely worth a trip. This is the Grand Canyon of Colorado! 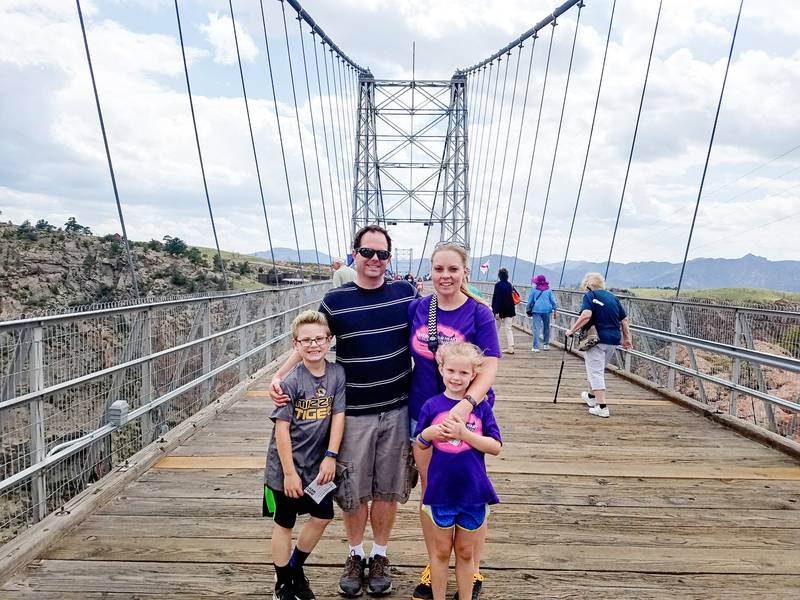 Standing 956 feet above the wild Arkansas River, the Royal Gorge Bridge is one of the highest and most famous suspension bridges in the world. 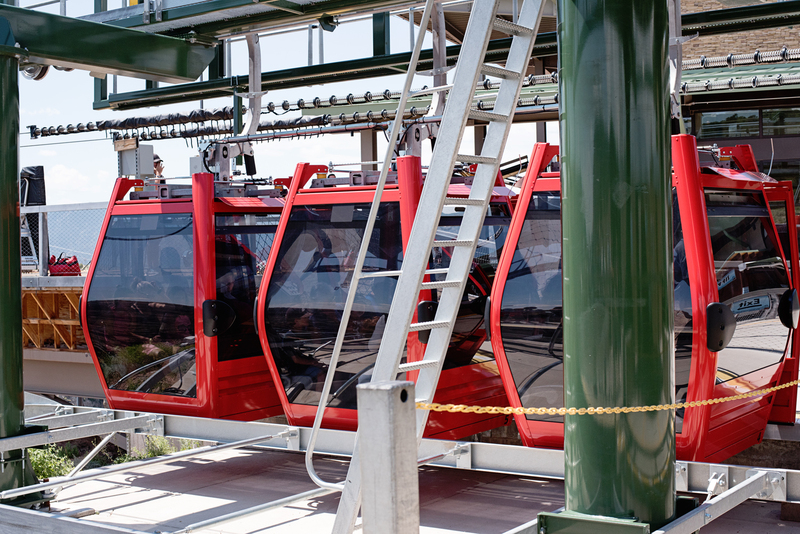 There are so many things for you to experience at the Royal Gorge! My children spent over an hour playing at Tommy Knocker Children’s Playground, while my husband and I enjoyed the scenery. If you are big into adventure, be sure to check out the Cloudscraper Zip Line and the Royal Rush Sky Coaster! 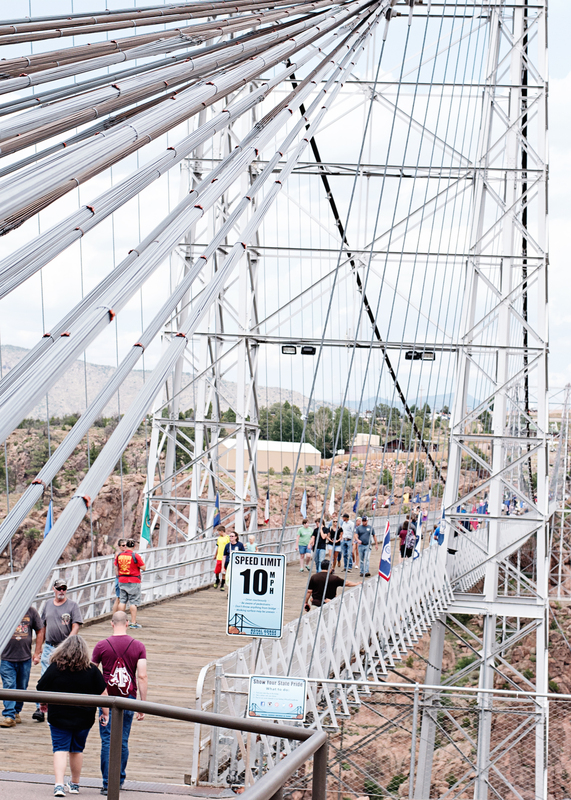 Once you are ready to part ways with the Royal Gorge, you can take a walk along the suspension bridge. The bridge is lined with all of the state flags, giving you the perfect photo opportunity with this beautiful attraction. 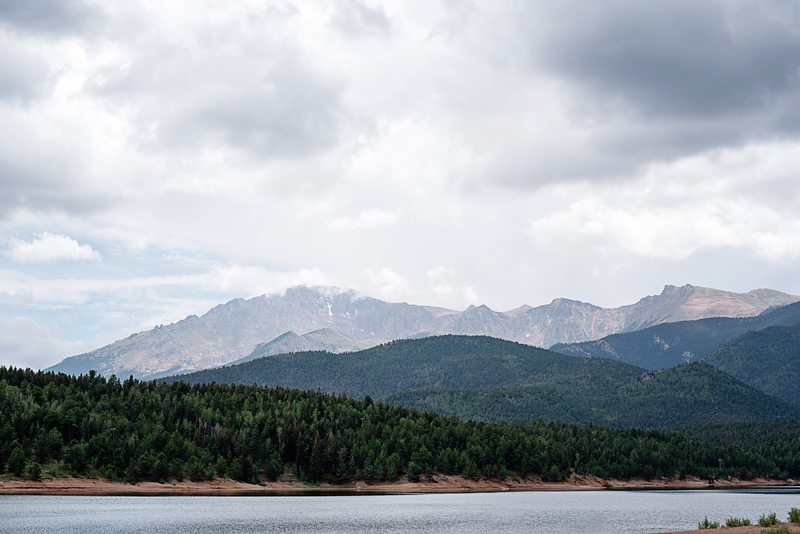 Colorado Springs is the perfect getaway for couples, families, the adventurous and even those who are just looking for leisure. 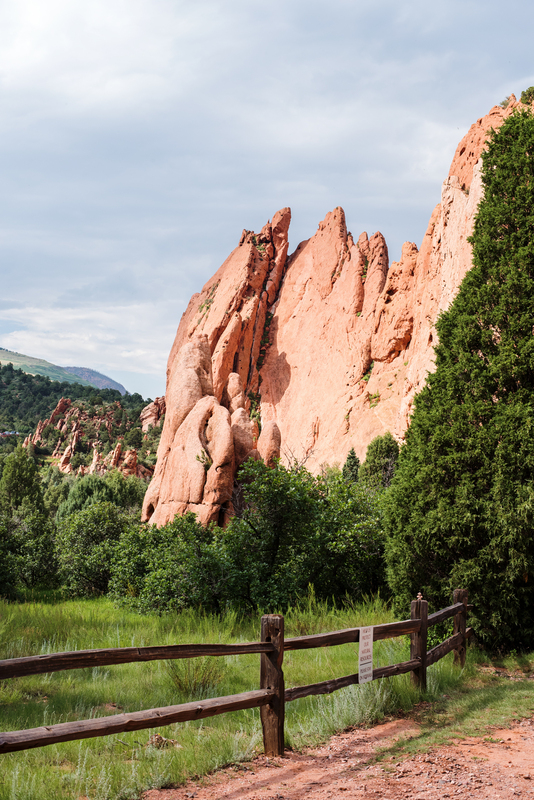 Check out Colorado Springs for your next getaway! Disclosure : This post is sponsored by Colorado Springs CVB. All thoughts are my own.